With one of the world’s worst winters in recorded history on full onslaught, Southern New Jersey was on the receiving end of a severe blizzard last month. January 2018 saw up to two feet of snow across Atlantic City. This had a detrimental impact on the casinos still standing in the gambling hub. It turned out thanks to the extreme weather, the casinos in New Jersey saw gross gaming revenue drop by nearly 9.9 per cent in January of 2018. The heavy snowfall made traveling into the city next to impossible. So, naturally far fewer gamblers actually managed to make their way to the beachfront town after the devastating storm that hit the city on the 4th of January 2017. Collectively, the casinos in Atlantic City saw total gaming win of USD $184.3 million in January 2018, which was USD $20.3 million less than what was generated for the same time last year. This marked an approximate year over year decline of 9.9 per cent in gaming revenues for January 2018 in comparison to the same time last year. It turns out that there was a drop in gaming win across the board for all the land- based operations in the city. Total casino wins for January 2018 was reported at USD $162.35 million. Revenues from the equivalent period from the year before, January 2017, were reported at USD $185.85 million. This marked a year over year decrease of 12.6 per cent of the 31 day period. Table games reported a year over year drop of more than 15 per cent, while slot machines kept 11.4 per cent fewer dollars compared to the same time from the year before. All in all, the land based casinos saw year over year gaming revenue go down by 12.6 per cent in January of 2018 compared to the same month the year before. The Chairman of New Jersey Control Commission, James Plousis, issued a statement after the extreme snowfall. He highlighted that weather can have a huge impact on business, which may be either good or bad. He mentioned that when the cold is as bad as it has been this winter, the public are not likely to go visit casinos in Atlantic City. That is exactly what has been apparent over the last few weeks. The cold and the snow have certainly affected the businesses for these establishments in a big way. Borgata Hotel Casino & Spa in Atlantic City continued to reign supreme over the other land- based casinos in New Jersey during this period of bad weather. However, even they failed to turn a year over year profit amidst the bad snowfall. The Marina District establishment reported total earnings of USD $57.7 million in January 2018. This marked a 10.2 per cent year over year decline compared to January 2017, when gaming revenues was reported at USD $64.32 million. Land based casino wins for the month were reported at USD $53.62 million; while that of the equivalent month from the year before was recorded at USD $60.55 million. This reflected a year over year drop if 11.4 per cent. The company did manage to salvage some of their income through internet gaming business. Borgata’s revenue was more than double that of what Tropicana Casino & Resort reported for the month. The property, which features a free multimedia light and sound show on its boardwalk façade, came in second with earning of USD $26.18 million in January 2018. Tropicana Casino & Resort reported total earnings of USD $26.18 million for the month of January this year. This was over USD $1 million less than what they took in a year ago at the same time. With that, they reported a year over year decrease in profits of 4.4 per cent. As expected, much of that loss was accounted for by the poor land- based casino performance. In January of 2018, the property collected USD $22.92 million in offline gaming revenues. This showed a 5.7 per cent year over year decline compared to January of 2017, when the company reported earnings of USD $24.30 from their land based ventures. Their online business, on the other hand, performed fairly well over the wintery month. Caesars Atlantic City and Caesars Interactive New Jersey both saw some hefty losses at the start of 2018. Caesars Atlantic City, which was the second casino to open its doors to the public in Atlantic City, almost went out of business in 2017. While they have managed to avoid bankruptcy this time, the start of 2018 has not been too promising for them either. Caesars reported offline earnings of USD $21.75 in January of 2018. However, that marked a year over year loss of 23.0 per cent compared to the USD $28.23 million that the casino took in a year ago in January of 2017. Resorts Casino Hotel was not only the first casino hotel in Atlantic City, but the first of its kind to gain legal status outside of Nevada in the United States. The property reported a loss, albeit smaller than many of its counterparts, for the month of January 2018. Resorts Casino Hotel raked in USD 11.63 million in January 2018. This was over a million dollars less than what they had collected for the same time last year. Their revenue for the month saw a 6.0 per cent year over year decline. Resorts Digital, on the other hand, saw some great returns over the course of the same time. Bally's Atlantic City suffered a year over year loss of 8.8 per cent in January 2018. The casino, which is famous for its “Park Place and the Boardwalk” address reported revenues of USD $12.77 million for the month. This was more than a million less than what they had collected in January 2017. The company reported earnings of USD $14.0 million in January of 2017. The iconic location of Bally’s had been made famous by the American version of the board game Monopoly that featured both Park Place and the Boardwalk. Harrah's Resort Atlantic City, the first casino resort to be erected in the city’s marina district, also took a hit at the start of this year. The casino that only offers offline facilities reported earnings of USD $23.53 million for the month of January 2018. This reflected a year over year decline of 16.3 per cent compared to January of last year, when the company reported revenues of USD $28.12 million. Golden Nugget Atlantic City was the only casino resort in the state to report an overall profit for the month of January. The casino hotel opened its doors to customers in 2011, when Landry’s Inc. acquired the property from Trump Entertainment Resorts. Golden Nugget reported total earnings of USD $23.4 million for the month, this marked a 1.7 per cent year over year gain compared to last year, when in January, the company reported revenue of USD $23.06 million. Unsurprisingly, their offline business also took a hit. The casino reported earnings of USD $16.14 million for the month from their casino wins. This, however, reflected a year over year drop of 11.7 per cent. The casino had taken in USD $28.12 million in January of 2017. The big win came from their online casino side of things for the month. Atlantic City has seen a revival of its fortunes over the last couple of years. 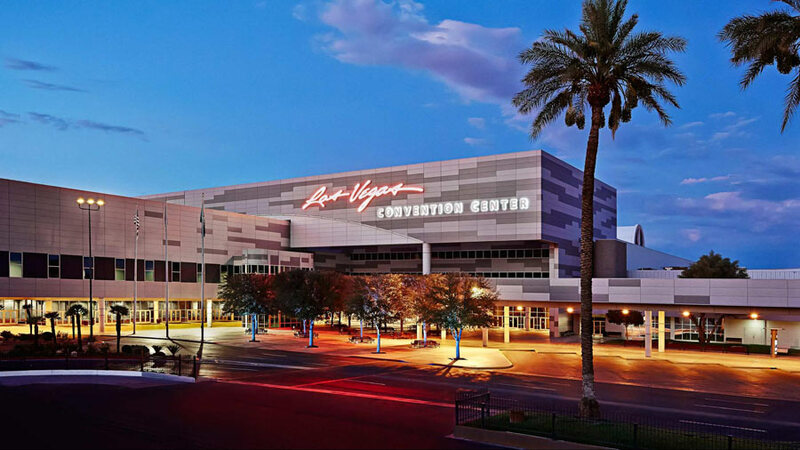 This year marked the second consecutive annual gaming revenue gain. The city, which once had a dozen successful casinos resorts within its boundaries, was hit hard by the great recession. Not all the properties managed to recover from it. Four of them shut down earlier on in this decade, while another one, the Trump Taj Mahal closed its doors to the public in 2017. The seven remaining land based casinos collected USD $2.65 billion last year. This was extremely encouraging especially given that the city had been in a state of decline from 2007 to 2015. Nine full years of economic decline was not only a result of the global recession but also the devastation that was caused by Hurricane Sandy in 2012. They say that every cloud has a silver lining; and it seems like there may be one for Atlantic City despite the bad weather. Extreme weather like the one to hit the east coast this year tends to keep the folk inside their homes. In today’s world that also translates into more time spent on the internet. So, it comes as no surprise that the online gaming revenues in January 2018 were on the up. Online gambling side of things were dominated by Golden Nugget Atlantic City in January 2018. Their online casino reported earnings of USD $7.3 million for the month. This marked a massive 52.8 per cent year over year gain from January of 2017, when they reported online earnings of USD 4.78 million. Despite having the largest earnings, Borgata Hotel Casino & Spa could not turn a year over year profit with their offline offerings. The company did, however, manage to reclaim some of their losses through their online casino earnings. Borgata’s online casino reported earnings of USD $4.15 million for January 2018. This was a 10.2 per cent year over year increase compared to January of 2017, when they reported winnings of USD $3.77 million. They reported the second largest online gaming revenue for January amongst all the other Atlantic City casinos. Tropicana Casino & Resort reported a 4.4 per cent year over year loss in January 2018. Unsurprisingly, much of that was from their land- based casino gaming performance. Their online business did fairly well over the wintery month. In January of 2018, Tropicana’s internet gaming revenues were reported at USD $3.27 million. This marked a 6.1 per cent year over year growth from the previous year, when in January they reported an income of USD $3.03 million. 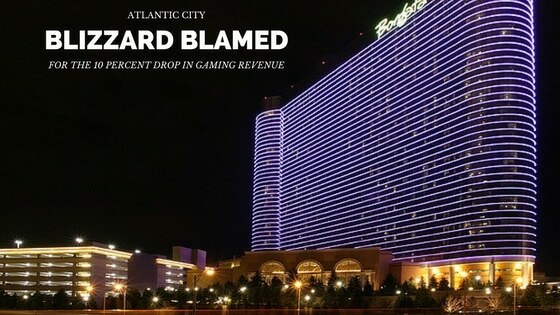 Caesars Atlantic City saw some hefty losses over the course of the month. On top of that, they did not have a great start to the year even with the Internet gaming side of things. In fact, Caesars Interactive New Jersey was the only online casino provider in the state that saw a year over year loss in January 2018. The company reported earnings of USD $3.35 for the month. This marked a 16.9 per cent year over year decline compared to January of 2017, when online revenues were reported at USD $4.03 million. Resorts Casino Hotel saw the offline casino revenue for the month take a 6.0 per cent year over year decline. Resorts Digital, on the other hand, saw one of the best returns in January 2018. The online casino provider took in USD $3.89 million in the first month of the year. This reflected a 22.9 per cent year over year profit compared to January 2017, when the company collected a total of USD 3.16 million. Experts are hopeful that the town will most certainly make a comeback over the remainder of the year. According to Atlantic City analysts, there is much to look forward to in the next 11 months. They have claimed that even a mild February would be enough to make up for the losses these casinos suffered in January 2018. This year will see both Hard Rock Atlantic City and Ocean Resort Casinos open their doors to players in New Jersey. With that, New Jersey’s gambling community is expected to report its third straight year of annual gaming revenue increase. The prediction of a third successful year for Atlantic City casinos was made without taking into consideration that Sports Betting could become a possibility for them very soon as well. If the Supreme Court of the United States (SCOTUS) rules in favour of New Jersey and lifts that the current restriction on sports betting, sportsbooks could be up and running at Atlantic City casinos in a matter of months. The state of New Jersey has gone up against the major sporting leagues in the country to assert that The Professional and Amateur Sports Protection Act (PASPA), which allows some states to offer sports betting, whilst restricting others, is in clear violation of the Constitution. A decision is expected from the SCOTUS later this year in spring. This means new sportsbooks could roll into the city both at land based venues and on the Internet before this summer has even begun.